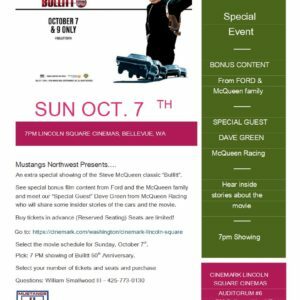 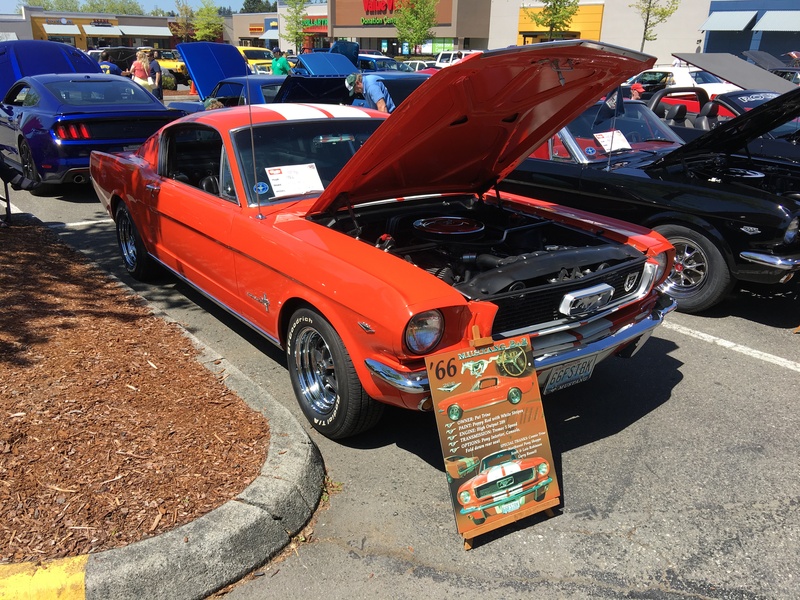 Mustangs Northwest | Help Provided – A whole herd of Mustangs…..
Grand opening car show on May 12, 2018 at O'Reilly Auto Parts in Woodinville, Washington. 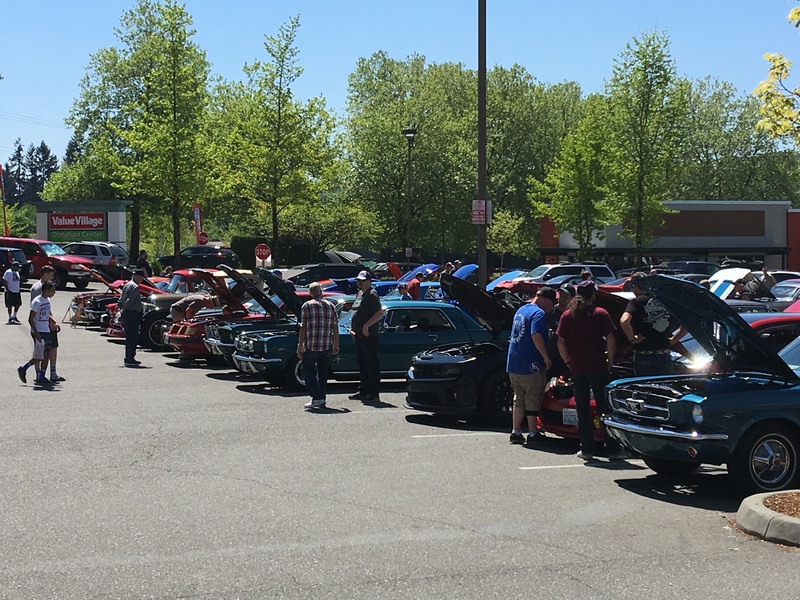 A whole herd of Mustangs from the Mustangs Northwest car club answered Scott Robinson’s call for help and the weather cooperated too. 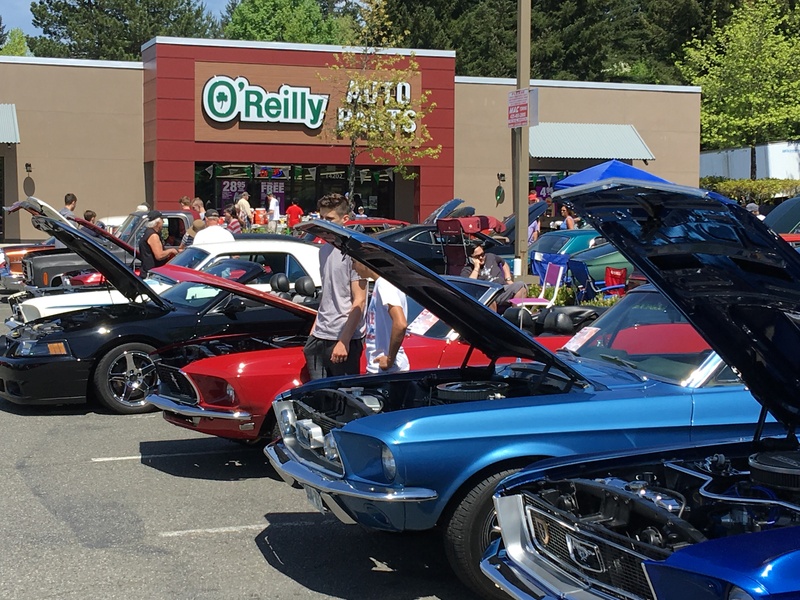 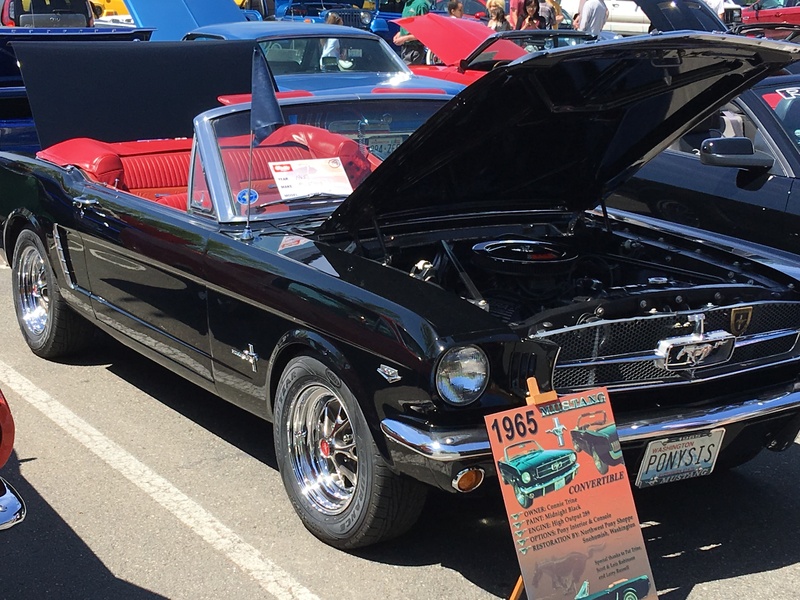 On Saturday, May 12, members from the Mustangs Northwest club attended the grand opening car show put on by the new O’Reilly Auto Parts store in Woodinville, Washington. 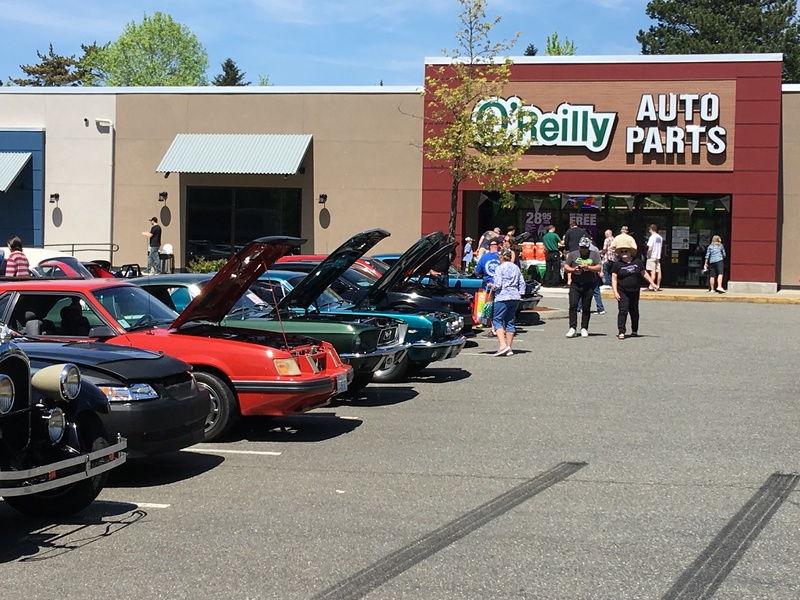 O’Reilly Auto Parts provided goodie bags, awards and a BBQ for show participants. 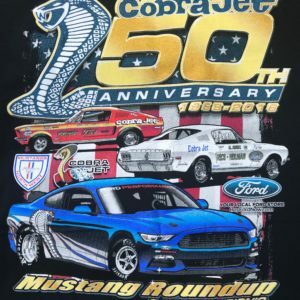 Thank you to all the show participants!